Nowadays Pipe welding is still a job for well skilled specialists. To adjust the pipe, to make a good weld preparation and finally to achieve a perfect weld seam for the pipe junction in terms of quality is a sophisticated challenge. Especially for high pressure pipes, even if these specialists are available, it is a complicate, time consuming and expansive operation. For high wall-thickness pipe still mistakes can happen to specialists and create a lot of additional work in the factory or on-site. Easy to fit is the new welding solution for pipes and fittings, which enables considerable savings throughout the supply chain and can thereby boost the profit in the pipe welding process. The idea of this pipe prepping system has been developed by Erne Fittings in Austria for fitting solutions. 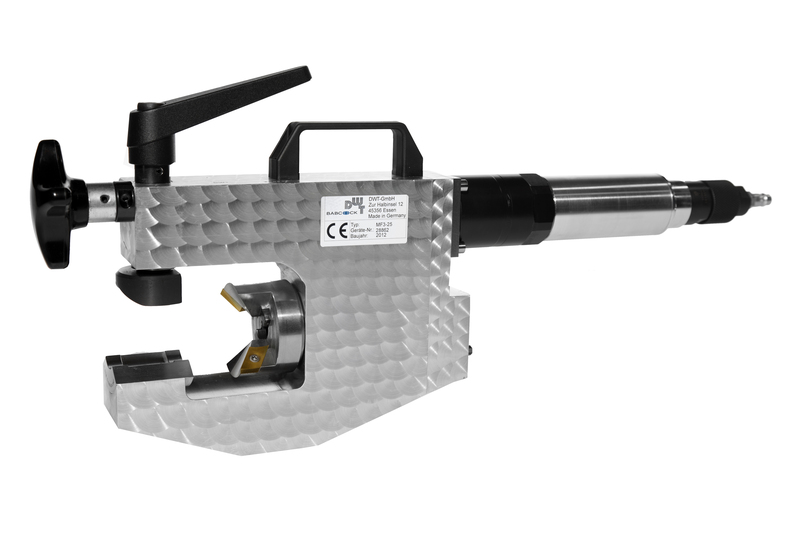 In cooperation with DWT in Germany the perfect tools for portable pipe bevelling machines have been developed. Scientific research by the German University in Chemnitz and by the government welding institute SLV Halle confirm, that the properties of the Easy-to-Fit weld seam are equivalent to or even better than conventional V-welds. Either for automated welding or manual pipe welding the system is simply perfect and the gap-free root can easily be TIG welded. Easy-to-Fit is a small investment in an intelligent pipe prepping system which ensures greater efficiency, profitability and indeed process stability. Especially for automatic pipe welding the weld end preparation is very complex. The welded joints require a weld gap with very narrow margins. Also the misalignment between root faces must be reduced to a minimum. This requires major effort to adjust and position parts as the margins allowed by the standards are so large that there is always misalignment. But also for manual pipe welding the system creates huge benefits. Innovations like Easy-to-Fit can only be achieved with close end user contacts and an in-depth understanding of the corresponding application. Together with an Austrian customer who was prepared to take a revolutionary path from the beginning, the innovation was created. Nowadays many DWT customers use this brilliant system with big benefits and increase their competitiveness.